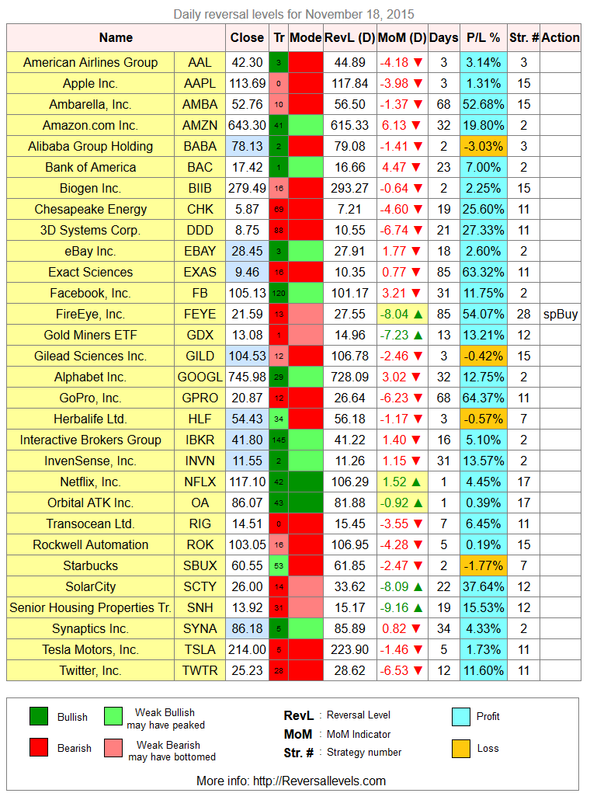 * Speculative buy signal for FEYE. 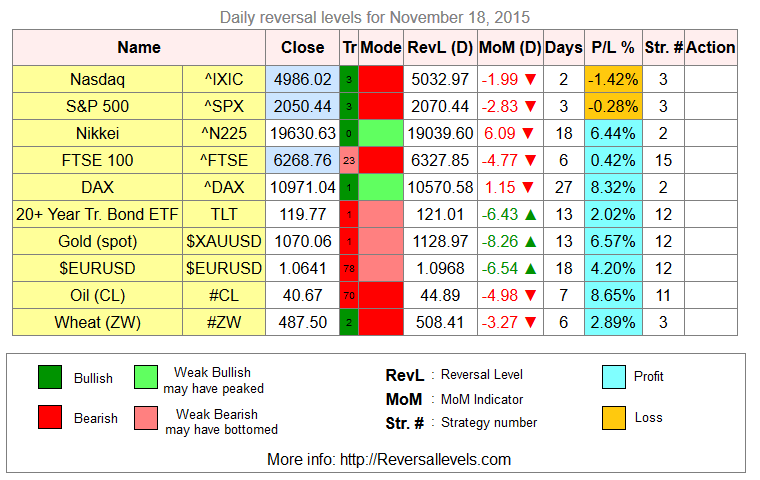 The daily reversal levels for more than 2500 stocks and etf are a available by monthly subscription. Comes with full instructions and strategies for using the reversal levels and the MoM indicator.